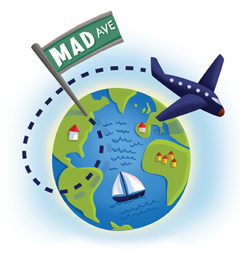 If you are not familiar with www.like-a-local.com, click now and check it out! I came across it in doing my research for this trip and found a whole new world of opportunity when it comes to looking for local tours. Locals are able to sign up and offer travelers a whole host of ways to visit their city. There are walking tours and food tours and museum tours. But we chose the opportunity to join a couple on one of Amsterdam’s canals on their houseboat for dinner. The canals of Amsterdam, and the boats that reside on them are some of the most fascinating things about this city. The chance to actually go inside and meet the folks who choose to live on one was something I just couldn’t pass up. The concept is a bit odd: people post a description of their “tour;” you send a request to book the tour and in this case receive an email back confirming the date and time (and charging my credit card). That was basically it, I did receive an email asking if we had any dietary restrictions and providing “directions” to the boat. So at the appointed time we went off in search of the houseboat, which we were basically told was on the canal by the bridge. It was actually not terribly difficult to find (but there are four corners of the bridge) and we were greeted by our host Daan and his adorable six year old, Huub. We boarded the boat and were greeted by Jasmijn in the kitchen/living room area. Now, we’re all from New York City so we found the boat quite spacious. I’m sure others would find it small, cramped and claustrophobic but we were all fascinated by how they fit everything into the space (there were additionally two bedrooms at either sides of the boat; having cleared the boat of it’s engine they were able to make a bedroom for their son). The kitchen had all professional appliances and the living room had a small woodstove. It was pretty impressive. Having dinner with a local family is such a unique experience. I did it once before in Tuscany and it is fascinating to not only see how they live, but have the chance to sit down and really hear what their life is like. So there we were, all gathered around the family dinner table (although Huub went to bed quite early). What we didn’t expect was their level of interest in our lives, what we were like, what we did. Turns out, as much as we were thinking we weren’t sure what we were getting ourselves into, they felt the same. As I mentioned, the communication leading up to this fairly intimate moment was pretty minimal. In an attempt to provide them with a little background on who exactly they would be hosting for dinner, I sent them a brief description which read, “we are five professional women in our 40s from NYC”. Well, one thing that I have learned about the Dutch language is that it seems to be oddly difficult to translate. I’m not familiar with the grammatical rules in Dutch but they seem to be at odds with English, and there seem to be words that don’t exactly translate. Apparently “professional” is one of them. They had no idea what I meant and were left to conclude that we were prostitutes. Perhaps lesbian prostitutes (although for some reason there being five of us made that option seem less likely). So once we had established that we weren’t here to hone the tricks of our trade in the red light district, the conversation flowed much more easily. The dinner was delicious. We started with salmon and toast points, followed by Dann’s mother’s homemade traditional Dutch soup (a sort of bean soup) and a main course of roasted lamb with potatoes and green beans. It was topped off with a delicious apple pie made by Jasmijn. Our bellies full of good food and wine and the night getting old we thanked our hosts and got ready to leave. But of course that was not the end of the night. Daan offered to take us to his favorite local pub, so off we go to Cafe de Gaeper for more beer with the La Chouffe gnome (Daan’s favorite beer as well!). Cheers!